Food blogs, packed with gorgeous images and mouthwatering recipes, have quickly become one of the most popular niche blog topics. Whether it be a hobby or a passion, food bloggers can now easily share their culinary creations with the masses and even pocket some money while doing so! 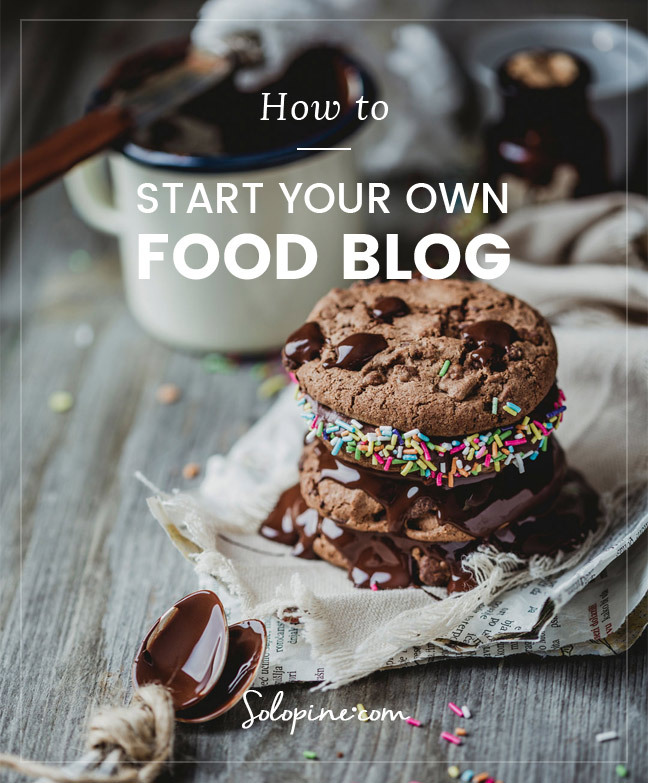 We’ve drawn up a road map to help get you and your food blog started in no time at all. There are lots of blogging platforms available on the market including WordPress.ORG, WordPress.COM, Blogger, Squarespace, Wix, etc. Services like WordPress.COM, Squarespace, Wix, etc. will host your site for you on their own servers. This can be quite convenient, though it comes with lots of drawbacks including being able to only choose from their themes and not being able to monetize your blog (for some options). In this article, we’ll be working with the WordPress.org platform, which is a free, open-source service you can easily install on your self-hosted website. The reason we love WordPress.org for creating websites (not just food blogs!) is it’s wealth of customization options, ability to choose from thousands of free and premium themes online, the ability to use third-party plugins to add additional features to your site, ability to monetize your site (or, generate income), etc. The list goes on and on. If you’ve never used WordPress.org and would like instructions on how to secure webhosting, secure a domain name (your site’s URL address), and install WP, check out our linked image below! WordPress.org, or simply “WP”, has endless possibilities for your blog when it comes to a theme. WP themes are a package of files created by an author which adds design and functionality to your website. Different themes will include vastly different styles and features. Themes are either free or are premium, which means that you’ll need to pay for a license to use them. Log into your WordPress platform. Via the left-hand Dashboard menu, click “Appearance“. This will take you to the “Themes” section. To browse WP’s free theme directory, select the button at the top titled “Add New“. If you find a free theme you’d like to use or simply test it out, you can “Install” the theme. After installing, be sure to “Activate” the theme (via Appearance > Themes). While free themes are definitely an option, we would strongly recommend considering a premium theme. Premium themes may cost a bit of money, but you’ll be getting a much more substantial website with features that free WP websites probably won’t offer. Premium themes are WP themes you pay for. The price of a theme can vary depending on the author, the marketplace, or the particular features included in the theme. 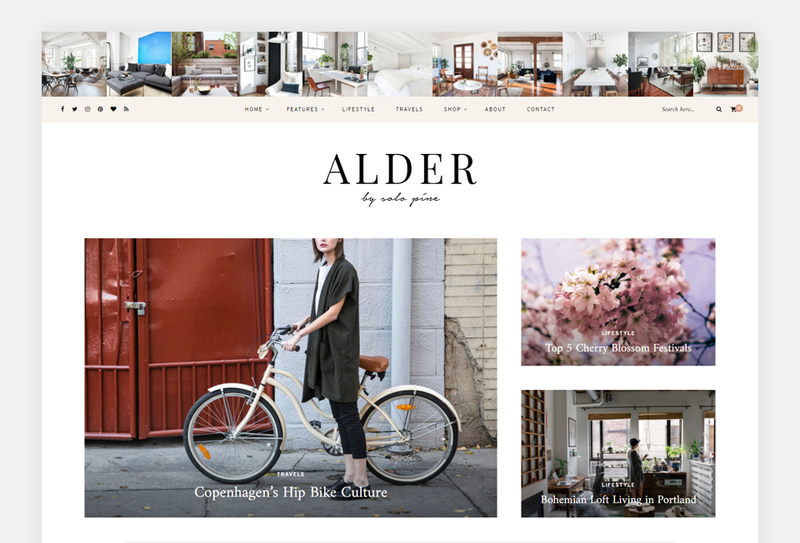 Premium themes come in hundreds of specialties, meaning they’re created to accommodate a particular type of blog topic. For example, photography themes, real estate themes, fashion themes, and even food themes. Because of this, premium themes are often more customizable and offer features better suited for a particular interest. Lastly, many premium theme authors will provide technical support if you find yourself with any theme-related questions. 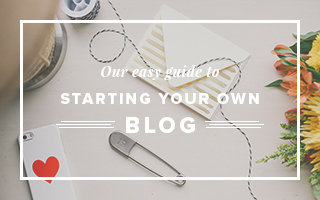 This can be hugely helpful if you’re just getting started with blogging! 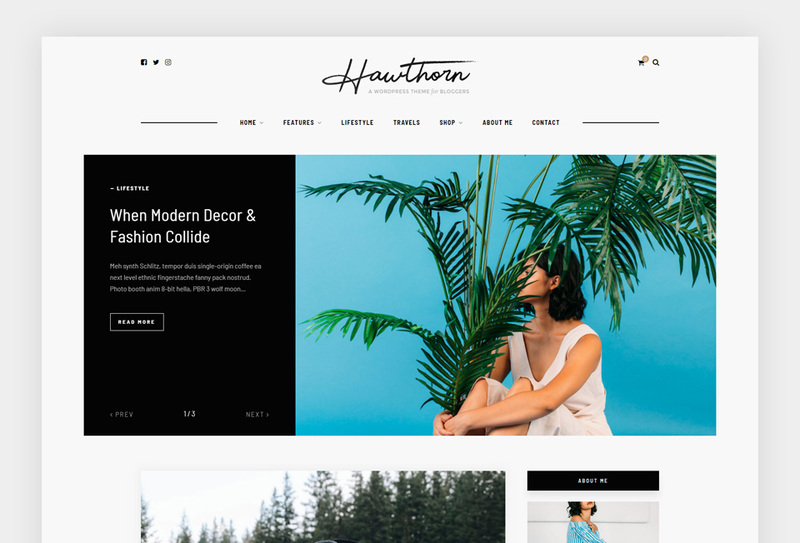 There are many marketplaces and webshops online which sell WP theme licenses including ThemeForest, Etsy, Creative Market, and others. 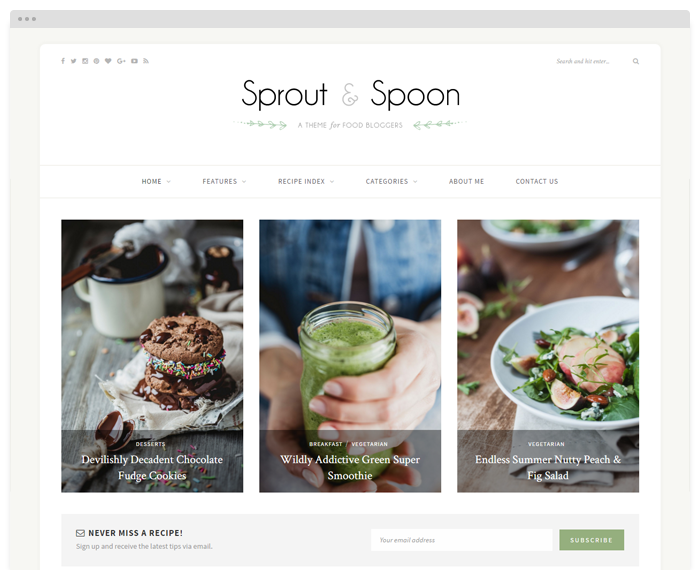 Sprout & Spoon has loads of features ideal for any food blogger including it’s own custom recipe card, category index shortcodes to feature your various types of recipes, sidebar promo images to highlight particular posts or pages, and much more. You will likely need to unzip the theme package you downloaded. Within, you should see a zipped folder with your theme’s name. Leave it zipped. Log into your WordPress and navigate to Appearance > Themes > Click the “Add New” button. Search for your theme’s zipped folder and upload to your WordPress. After installing the theme, be sure to then “Activate” the theme (via Appearance > Themes) to begin using it. One of WP’s greatest features is the ability to use plugins which add extra functionality to your website beyond what the theme may offer right out of the box. You’re very welcome to use any sort of plugins with your site, though we’ve noted some personal favorites (and free to use!) below. Yoast SEO: A reliable powerhouse of a tool to help your site’s Search Engine Optimization. Google Analytics Dashboard: A blogger must-have! Sign up for a Google Analytics account & install this plugin to track traffic, clicks, and more via your WP Dashboard. Easy Recipe: A popular WP plugin that lets you fill out your recipes in card-format & embed them into posts. Visitors can then easily print it out. Contact Form 7: A simple, straight-forward contact form so visitors can send you emails without needing to disclose your contact info. jQuery Pin It Button for Images: Let visitors pin your recipes to Pinterest simply by hovering over images! Use standard Pinterest icons or use your own custom icon. MailChimp for WP: Create a MailChimp account & add a newsletter sign-up form to your site. Visitors can subscribe to your newsletter mailing list. Jetpack for WP “Subscribe” module: Jetpack has a lot to offer, but we love its “Subscribe” module which allows visitors to be emailed each time you post something new. Backup Guard: If your site crashes or is hacked, don’t lose everything! Be prepared with an auto-backup function so you can blog without worries. Please note: Not all plugins will be 100% compatible with all themes. Now here’s the really fun part– with your WordPress set up, you’re ready to start filling your site up with all of your beautiful foodie photos and delicious recipes! Who wouldn’t love to earn some cash while blogging about their passion? There are several ways to earn money via blogging, no matter the specialty. Inserting advertisements via an ad service: There are numerous ad services, like Google Adsense, where you create an account & insert a bit of code onto your site to pull in advertisements. Alternatively, there are also more involved ad services like AdThrive which will do much of the work for you. Leasing ad space to other bloggers: Have some extra space in your sidebar or in your posts you can fit an ad? Fellow bloggers will often pay to have their ads placed in another related blog to drive similar traffic. Contact fellow bloggers to see if they’d be interested in compensating you to promote them on your blog via an ad! Leasing ad space to general public: There are services like BuySellAds that let you put an ad space on your blog up for rent to the general public. An interested party, who may have a product or service related to yours, can contact you and rent your ad space. Writing paid reviews of products: Many bloggers will write paid reviews for products or services and post about it on their site. From kitchenware to WordPress themes to food items, the sky’s the limit. Just be sure to disclose that it’s a compensated post! Joining an affiliate program: From webhosts to marketplaces, many websites will offer an affiliate program. Affiliate programs often include a unique URL suffix which you can add to a hyperlink placed on your website. If a visitor to your site uses that link and enrolls in a service or purchases a product from the affiliate host, you make a little cash! It’s sort of a “You scratch my back, I’ll scratch yours” deal. In fact, we at Solo Pine have affiliate/referral opportunities via the ThemeForest and Creative Market online marketplaces. To learn more check out: Solo Pine Referrals // Share the love, earn some cash! There are loads of high-traffic websites that assemble and showcase recipes for their community. You can submit your own recipes to them to be considered for inclusion. If a recipe is selected within their curated collections, it could mean hundreds or thousands of new visitors headed to your blog!